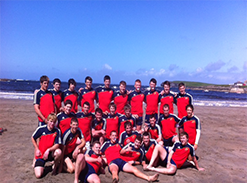 Abseiling Thomond Park - Are you a thrill seeker and a huge Munster fan? For all those daredevils, adrenaline junkies and those who are brave enough and want to be one of the first to Abseil in Limerick with our newest and most exciting challenge - Abseiling Limerick. Abseilers in Limerick will get a fantastic panoramic view of the iconic stadium before their descent from the West Stand media box, where some of the most exciting commentary in rugby has been delivered. 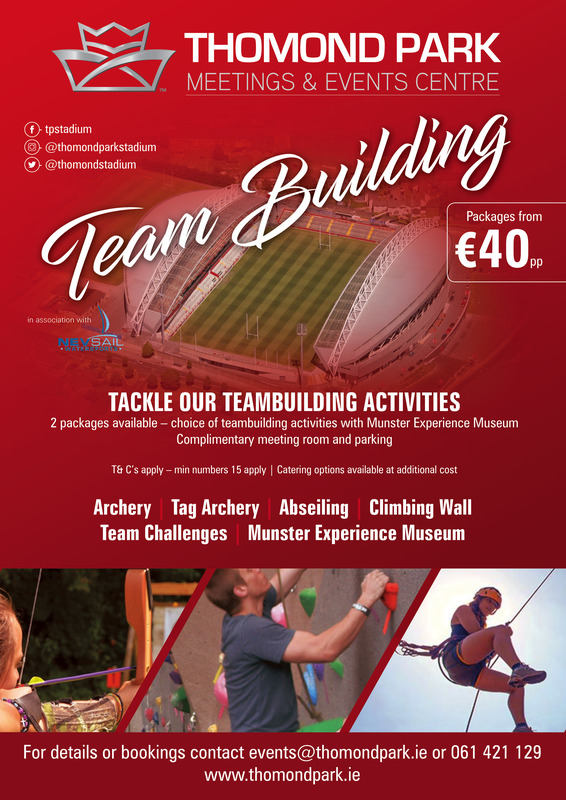 Are you brave enough to tackle some team building challenges Abseiling Thomond Park? 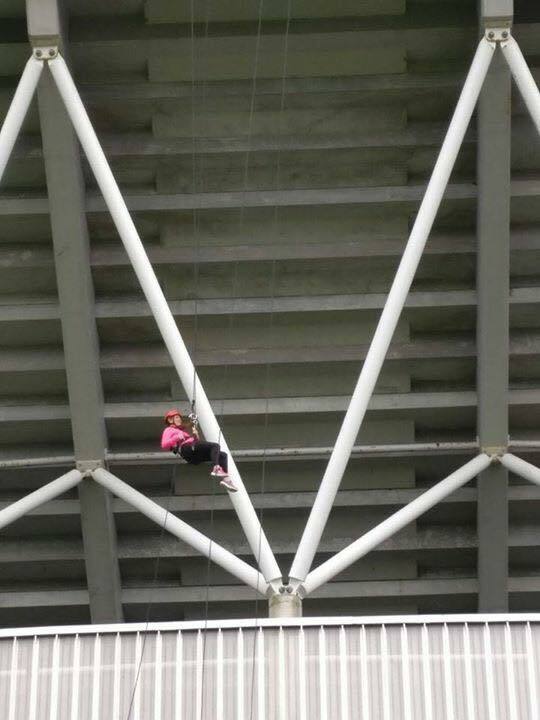 Brave enough to abseil down the side of a stadium? Abseiling Limerick - involves descending down from great heights at a pace that suits you using ropes and specialized safety equipment. 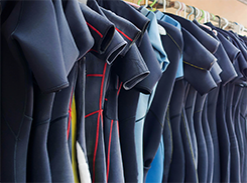 Fully Qualified and Safety assured and all the abseiling safety equipment such as ropes, helmets and harnesses are included. 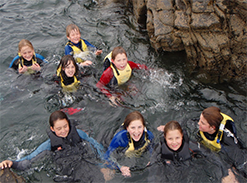 Following the abseil, participants could also try the Munster Rugby Tour, some Archery, Archery Tag or even some Team Challenges with us too or you could even partake in a barbeque event or meal. 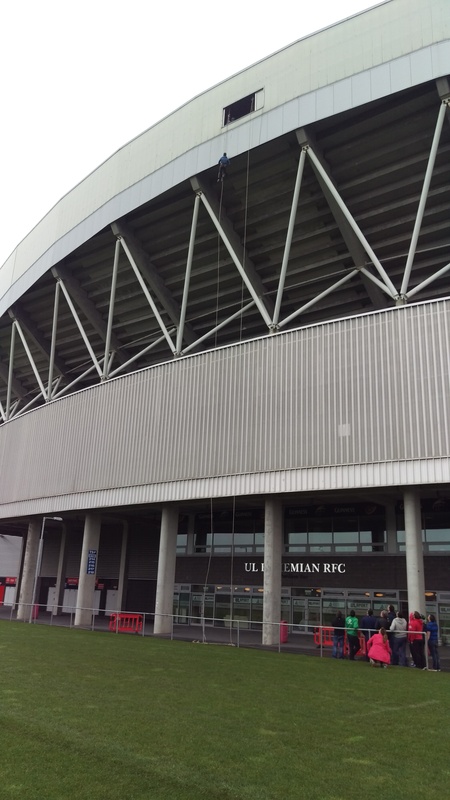 Abseiling Thomond Park is a massive hit for group outings such as: Sports and Socials Clubs, Corporate and Team Building Events, Sports Teams and Clubs, Birthday Parties, Stags/Hen Parties, Transition Years, Schools and Scouts Groups. 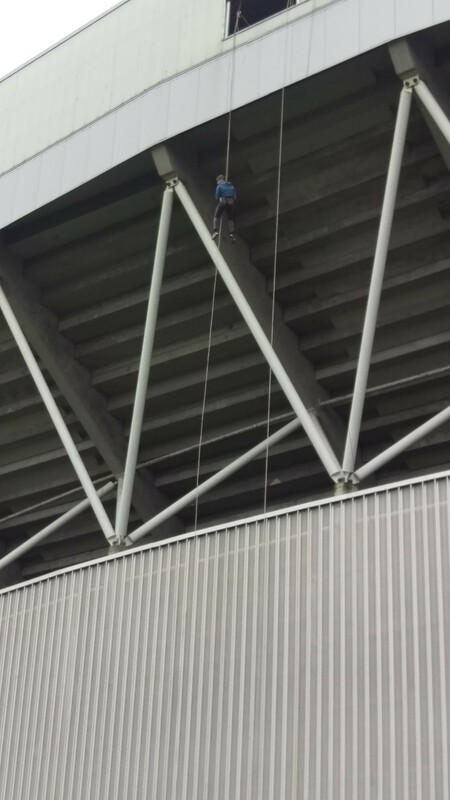 Our Abseiling Thomond Park Adventures are also very popular if you are running a Charity Fundraising Event and looking for something unique and exciting. 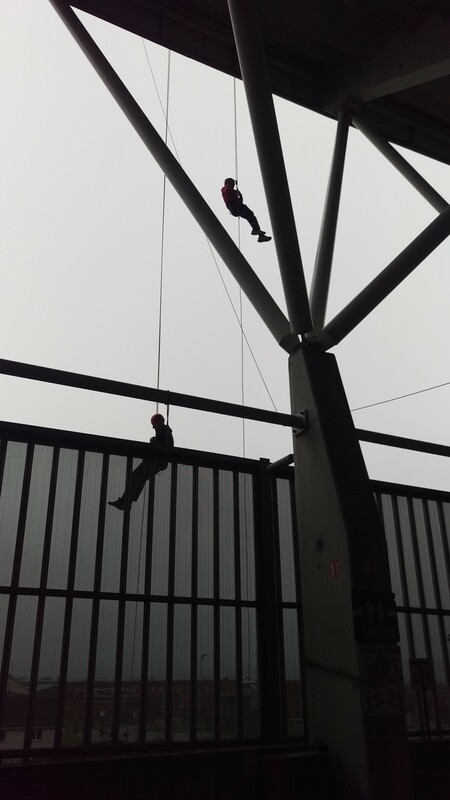 So, if you’re planning on Abseiling Limerick or an adventure you wont forget, please click here and we will get back to you.